Depending on your business needs, you might want to have your templates sent to your guests automatically, based on different booking or time-based events. With Signature and Automata working seamlessly together, creating a template workflow has never been this easy. If you want to send a contract using Automata, you must specify two signing roles. 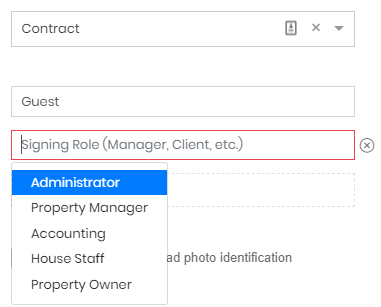 The first role must be the Guest, and the second role must be one of the five Tokeet user roles: Administrator, Property Manager, Accounting, House Staff or Property Owner. If you want to send a document using Automata, you must specify only one signing role. That role must be the Guest. If you want to send a form using Automata, you must specify only one signing role. That role must be the Guest. Read more information about Automata triggers, and how to use them here.